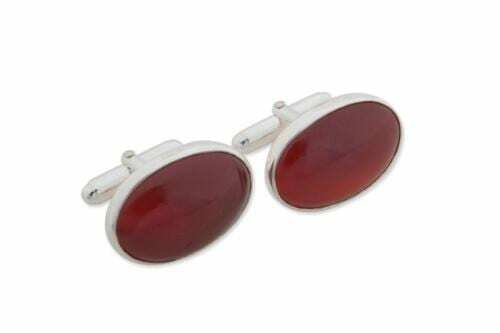 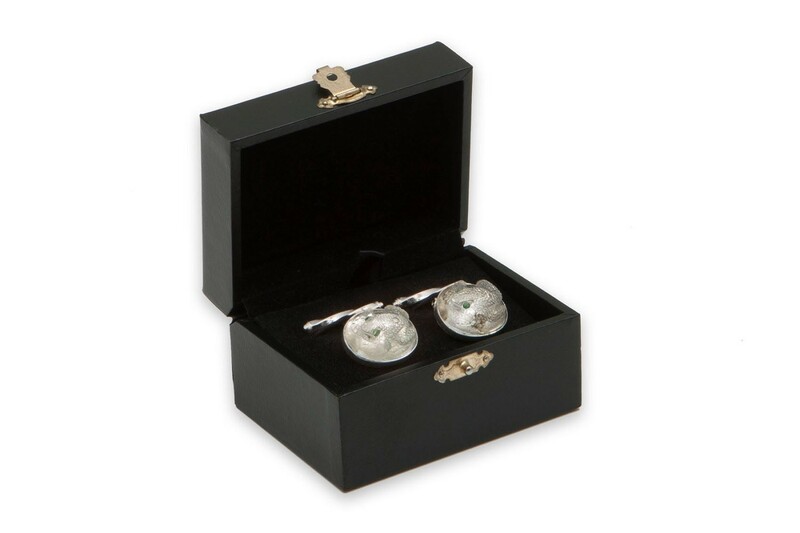 Hand crafted Hervé frogs from genuine rock crystal are mounted to sterling silver chain and shaft attachments to create these fun and stylish Crystal Cuff links. 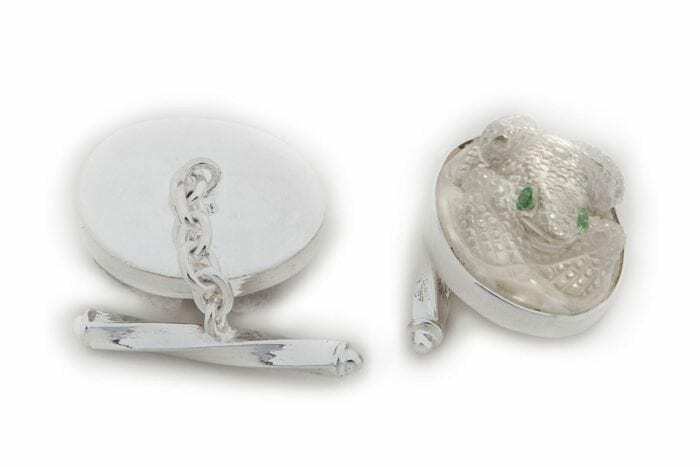 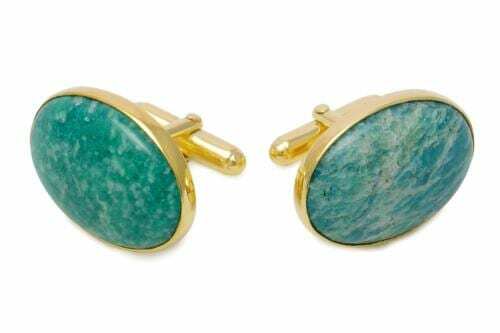 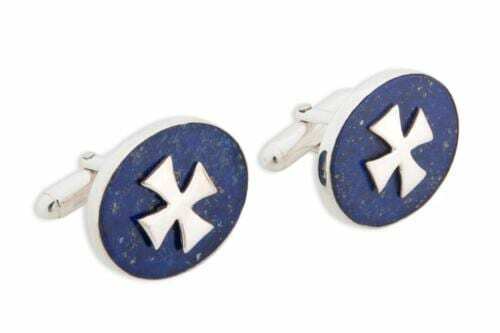 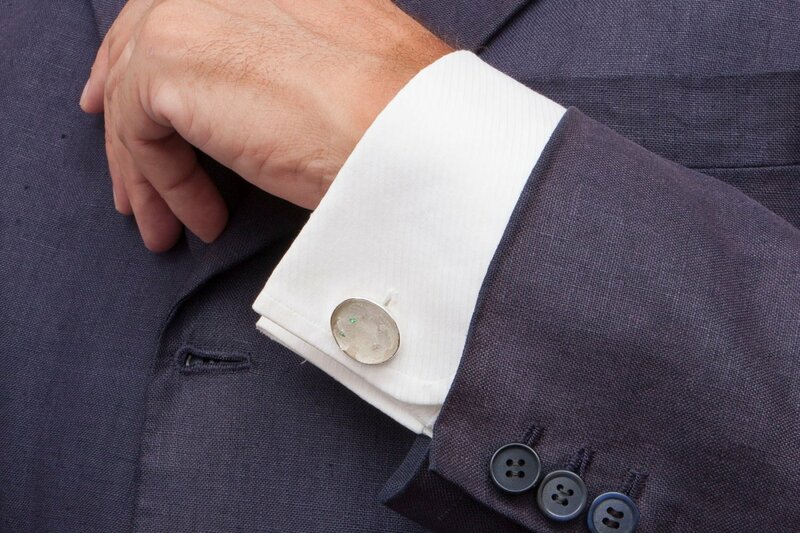 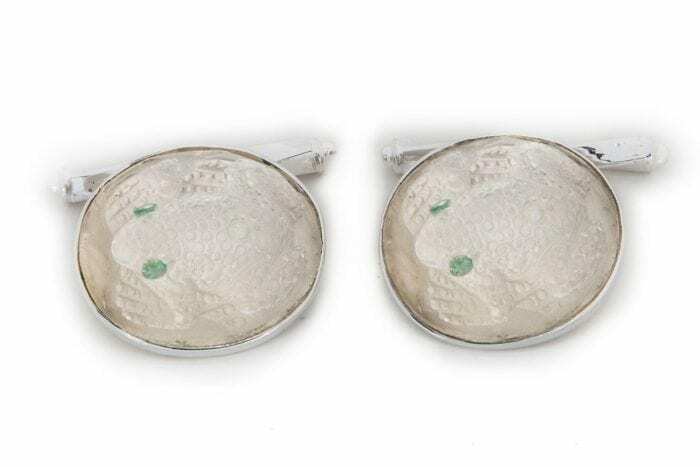 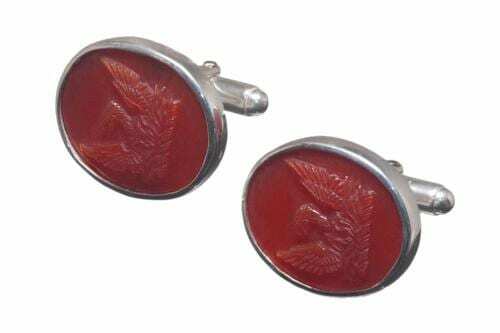 These are my Regnas frog cuff links designs and I think they look really impressive as well as being really interesting–they make marvelous and VERY memorable gifts.. We offer a whole family of them; both in silver and silver plated with 5 microns of 18 K gold. 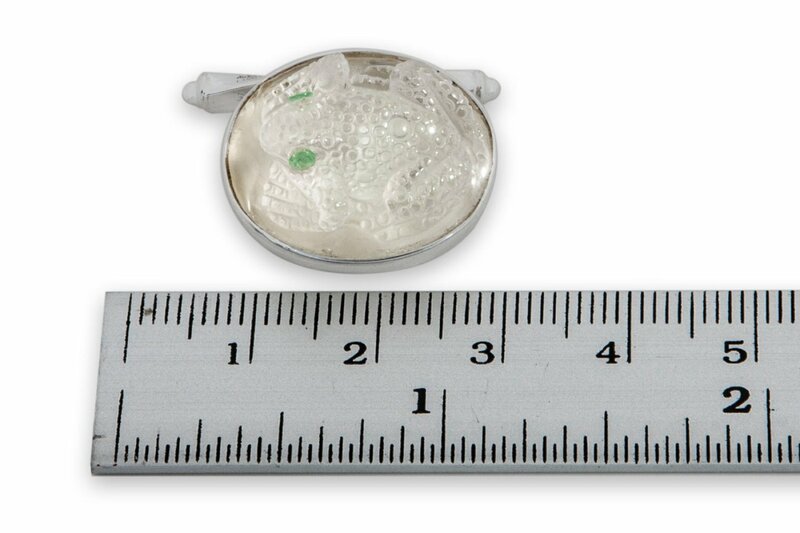 These ovals frogs measure these ovals measure 22 x 18 x 9 mm (7/8 x 11/16 x 23/64 Inch).